Ok. I am going on a rant here and I expect some kickback. Before you tell me how wrong I am, please remember that I have been advocating for almost thirty years. I recognize how parents and advocates are being manipulated in the name of Dyslexia! I love the Decoding Dyslexia movement. However, some in this movement are being led down the path that, somehow, we need more legislation to get services for our kiddos with dyslexia. How well I remember the late 1980s and early 1990s. Sped administrators were telling us how they would love to provide services, but they didn’t have adequate money. They would tell us that if schools could get “full funding” for IDEA, they could provide the services our kids needed. Schools said, “if you really want to help your kids, write your congressman and demand full funding for special education.” (Full funding is a rant for another day). Here we are in 2014. The Decoding Dyslexia movement has become a double edged sword. It has become so powerfully persuasive, school administrators have put a different spin on the way they manipulate parents and advocates. We don’t recognize dyslexia; we cover specific learning disabilities. Then, parents and advocates began to get smart. They started reading the federal law. 1. 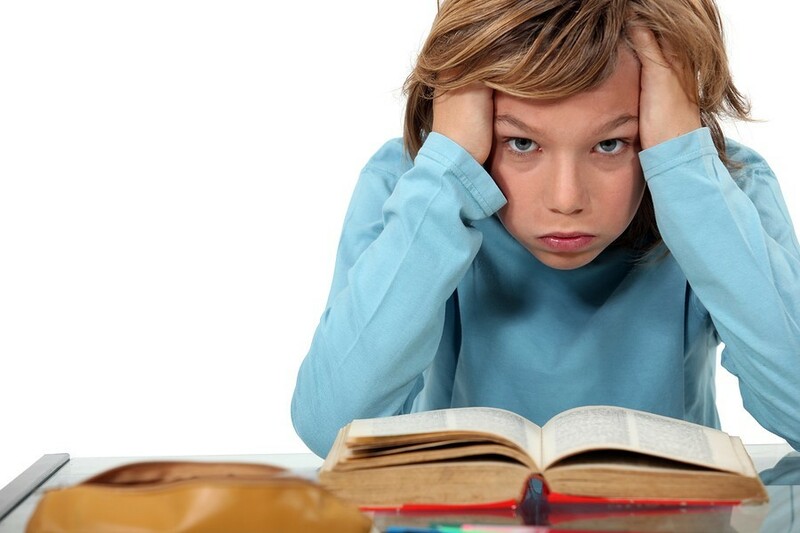 Parents realized that the term dyslexia is in the definition of specific learning disabilities. 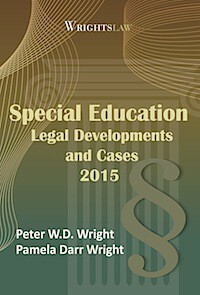 20 U.S.C 1401 (30) Wrightslaw: Special Education Law, 2nd Edition, p. 55. 2. 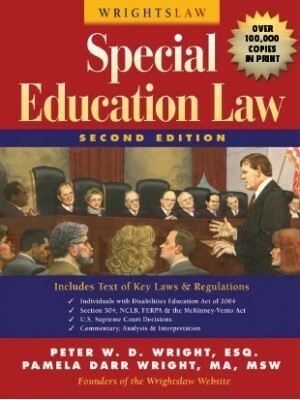 Parents learned that dyslexia has always been the language of the federal law. 3. Parents started pointing this out to administrators, who then had to find another argument why they could not appropriately serve kiddos with dyslexia. 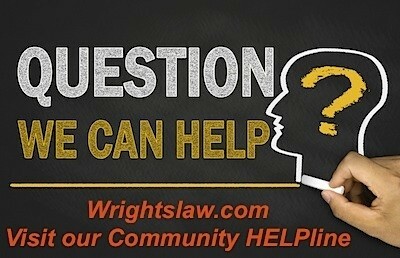 There is no definition for dyslexia in the law. Our teachers do not receive proper training in college for dyslexia. We need to include both of these in the law so that we can serve your kids who have dyslexia. What happens when parents buy this argument? Their energy is diverted from advocating for their child in the schools to advocating in the legislature. Adding and changing the law is a lengthy process. Much more time consuming than changing an IEP or training a teacher. Read the Shannon Carter cases – all of them, not just the U.S. Supreme Court case. Carter is the original dyslexia case. It is the law of the land. And yet, thirteen years later, we continue to allow schools to ignore it. Just like the courts have said that lack of funding is not an excuse for failure to provide FAPE, we should not allow schools to use lack of a definition in the law or a failure to adequately train teachers as a reason to deny services that are already available to kids with dyslexia. These are excuses and diversionary tactics. Don’t be mislead. Everything that is necessary to provide kids with dyslexia with an appropriate education is already available. Research, curriculum, modalities, etc. are already in place in many private schools throughout the U.S. There is no excusable reason why public schools cannot provide an appropriate education. But, parents and advocates are buying this all over again. 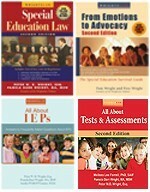 By the time you get the definition in the law and the teachers trained, your kiddo will already have dropped out, received a Certificate of Completion instead of a diploma, or will have graduated from high school with a regular diploma, but still be unable to be a functional reader, writer, and speller. Wake up folks! You are being sold a line of goods. Don’t allow the schools to move you forward to yesterday. 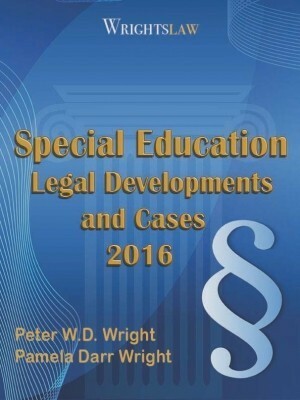 This entry was posted in Learning Disabilities & Dyslexia, Political Action, Reading, Special Ed Law and tagged Decoding Dyslexia, Dyslexia, Florence County v. Shannon Carter, Preventing reading failure, Reading, Shannon Carter, Teacher Training by Pat Howey. Bookmark the permalink. Tonya, referring to your statement, The problem we parents are running into is that the programs to identify and treat dyslexia (tutoring, special schools, and/or accommodations) are NOT generally available.” You are correct. I had to educate my child’s school district, do a lot of footwork and research on my end for AT, specific reading programs, etc. Still, I live in the backwoods and no one wants to come to my part of the state to remediate as it is not the “gold coast.” Still, my son did receive services and had teachers who cared. It too a lot of work and energy. I love advocacy. I tell parents to not wait until legislation pass–do your own research and implement, with guidance, programs at home so your child does not fall behind. I did not wait for legislation or a school district to figure it out. I love and absolutely agree with this post! It’s important to do both; but in essence the teadon behind advocacy for dyslexia is to educate and train educators and the public. Great job!! I just started a support group in Savannah for dyslexia and I will share this article as it can be easy to become mislead. Thank you for this well written article! My child’s school “recognizes her dyslexia” – their stall is a corrective reading program, Read right, that is still not being fully implemented. Aka the free trial version that keeps glitching and the year is half over. What do I do with that? But we could build a multi-million $ athletic arena. FCRR Tech. Report # 8 on Dyslexia states – ” The goal of every school should be to provide interventions for all struggling readers that are sufficiently powerful to bring their reading skills up to grade level standards. If this is accomplished for all struggling readers, then it will automatically be accomplished for all students with dyslexia.” Research shows us classroom methods can be used to teach early reading skills in a way that prevents over 95% of children from experiencing severe reading difficulties, even those with dyslexia. We also know how to build real reading skill in older children who have had severe reading difficulties relatively quickly. Advocate for new legislation if that is necessary, but spread the word about the research and the scientific fact that we can build reading skill, not settle for accommodations. I beg to differ. I was able to secure research based, high quality reading services and a private tutor for a student that has dyslexia by sighting a bill specific to the disability Dyslexia. Under pressure from parent’s The State of New Jersey, on March 14, 2013, Assemble, No. 3608, Assembly Education Committee passed. “Dyslexia is a specific learning disability… “Now, once you have dyslexia, there will be certain services they will be entitled to according to Attorney Elizabeth Athos”. I say “never underestimate the power of parents. I love that you wrote this, but I disagree with what you seem to be saying–that legislative advocacy is a distraction from what we truly need to be doing–advocating for our own kids. Why? I need our state law to be more specific than IDEA. IDEA doesn’t define dyslexia. It doesn’t tell us how to assess it. It doesn’t tell us that schools of education need to provide training to teachers to prepare them to identify and instruct students with dyslexia. In CT, Decoding Dyslexia is working on exactly that. 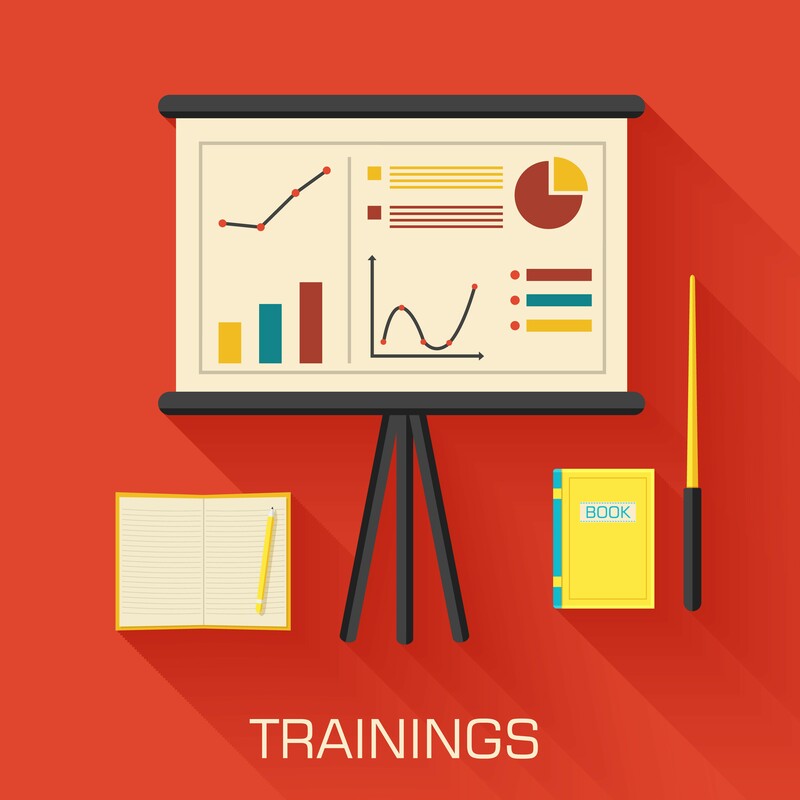 In one session, DD got teacher training into the statute–it’s now required for certification! Not a waste of time. That being said, when my child was struggling and miserable, I put all my energy into repairing her program. But now that she’s set, I get to advocate for others too. Fun! I think this statement is extremely misleading. The problem we parents are running into is that the programs to identify and treat dyslexia (tutoring, special schools, and/or accommodations) are NOT generally available. It is a hard fight, often wasting years, for a parent to get their child’s reading issue identified and treated appropriately. And every family is having to individually re-fight this battle in every district for every dyslexic child. Decoding Dyslexia empowers parents by introducing them to others who have found a path to treatment despite the current system. Legislation is needed to make the system better for the kids who follow. This strategy has worked for autism. It can work for dyslexia. Pat, your point is well taken. However you have left out a huge class of dyslexics that my son is part of. The students who are denied an IEP and special ed designation. He has no protection or rights under the existing laws. Denial came despite $ thousands spent on advocates and lawyers. What good is an RTI when teachers are not trained in the right interventions for dyslexia? If a law requiring college credential programs to educate teachers on how to identify and provide proper reading intervention does not make in time for my dyslexic son, then it will help his son and future generations. So Pat thinks defining dyslexia in state code wasn’t worth while because it was already in federal code? Well last year no teacher in Iowa would dare utter the word, and teachers were told to take books with the name dyslexia off their school resource shelf. 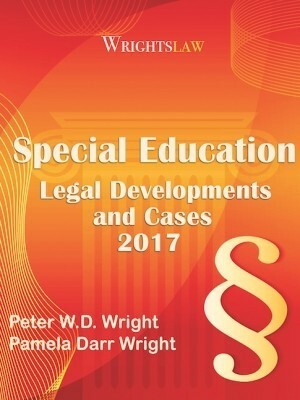 Since the passage of our definition, our state DOE and SPED people now talk about what it is and create web pages about it. Schools are emailing my dyslexia tutoring center and asking for info. sorry, but in the US if free speech is being denied, a law, even a “repetitive ” one, MAKES A DIFFERENCE. So sorry your jealous of the DD movements success. My son wasn’t diagnosed till 2nd grade, when I had to pay o.o.p. 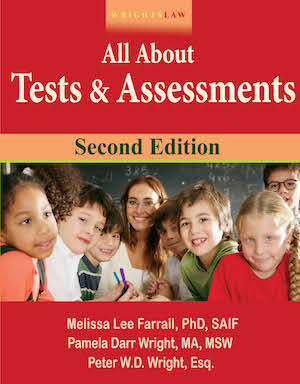 for private testing and then private tutoring through Susan Bartons system. My son was pushed along to the next grade for yrs because of NCLB Act. Now he’s in 7th grade and still barely passing with a 50% in most his subjects. Michigan refuses to recognize Dyslexia as a learning disability so he only qualifies for a 504 plan from his ADD diagnosis. So he has some accommodations but I still hear that he’s lazy or forgetful weekly from his teachers, even though he only tested at 9% level working memory. Teachers needs to be able to teach every body. Testing, diagnosis and tutoring should be mandatory! And it starts with the teachers! Most in his school don’t even know what Dyslexia is!!! We are failing our kids!! Parents we need to ban together!!! This is incorrect information. We need legislation because the existing laws and existing teachers are of no use to our dyslexic children. Legislation needs to be passed that teachers are trained and held to the task of using simultaneous multisensory instruction in every Kindergarten, 1st grade, 2nd grade and third grade classroom in this nation. THEN and only then will all children be taught to read in the classroom. There is no way that special ed teachers can teach our children to read as they are not trained in simultaneous multisensory instruction either. The taxpayers can not afford for pull out therapists to give each dyslexic child (20% of the classroom) a minimum of three hours of therapy a week. Teacher training is the only answer. There are schools in this country that prove this point! Organizing leaders to champion change is especially helpful. It is important to recognize the positive and powerful examples set by DD groups who are dedicated to leadership, courage, and integrity in advocacy, education, systemic change, and research to make our schools more inclusive, engaging, and more equitable for all our dyslexic kids. Hope and change has failed, but its pursuit has brought honor to these DD “heroes”. Thank you so much. I’m so frustrated because my son’s public school keeps kicking the ball further and further down the field. Me: “We’re already half way through the school year.” Them: “We haven’t gotten a teacher’s manual for Fundations for your son’s teacher, and frankly, we have no idea when she’ll get it.” ARE YOU KIDDING ME? As I see it Decoding Dyslexia is a movement, it’s not a threat, it’s mostly a group of women shining a light on an issue most educators, and politicians are avoiding. 1 in 5 suffer from Dyslexia, too long Children and even Adults who suffer from Dyslexia are ignored or told by authorities we can’t use that word, we can’t offer you services etc. All the DD group is doing bringing parents, dyslexics and other interested parties in the same room. My question to you would be why are you concerned? You don’t really specify the bill of sale? I’m more interested to know more if you now more or if there is not proof then please don’t negate this group. It’s worthy of it’s goal. We as a family have done all our investigating and intervention ourselves, but had I had a movement like DD to go to I would have been there in heart beat. Pat, You are 100% correct. But I don’t think you are saying the Decoding Dyslexia movement is the problem These are awesome organized parents with a nationwide framework so we can come together to make change instead of suffering alone, Parents and the children they are trying to advocate for have been lied to, denied their rights, and manipulated for many, many years. And our children have been denied access to an appropriate education and many of them have dropped out and face an uncertain future. I will go a step further and say that if your child graduates high school the college’s disability offices are for the most part – even worse. So how do we band together and change this once and for all? Let’s come together as parents to end this injustice so our grandchildren so not suffer the same future. Ideas?? On what to do??? Thank you for your honesty, I will be happy to assist your school in locating a properly trained teacher to provide appropriate services. And even better, not to worry, I’ll find a properly trained tutor and submit the invoices for payment or reimbursement. Pat, I believe the frustration comes not from hearing that what we need for services is already in the law, or the IEP process is how we SHOULD get these services. Instead I believe that families like mine have done all they can to battle the system alone, and come out extremely wounded and beaten down. Without having money to win a law suit or hire help, our children suffer, and if others have not actually lived in a home going through it, not easily comprehend. We had to choose life of 8 year old over a law suit. Went out of state for a diagnosis. Paid for a private tutor and school because the anxiety and depression led to suicidal hospitalization. Praised God, our now 22 year old son is in aviation school, top of class, heading for a future. Homeschool 7 yr old, battle hasn’t changed. Busy educating while protecting her needs. thank you far having the courage to speak this truth. I pulled my 2nd grader from public school & filed complaint against DOE bc she was denied FAPE – in 17 areas (she had an IEP). I enrolled her in LMB. She’s accomplished more in 4 weeks there then in 2 yrs w/”specialized” instruction in public school. It’s insanity. 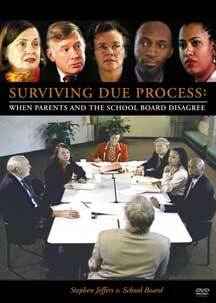 Parents are forced to fight & demand schools uphold the law. I understand what you are saying “Everything that is necessary to provide kids with dyslexia with an appropriate education is already available.” The problem continues to be that the Districts are not held accountable for the regulations currently in place; they are vague which gives them more leverage to manipulate the system and parents. IDEA has been in place since 1975 and parents continue to have the same issues getting the appropriate educational services for their children with Dyslexia. Nothing has changed in almost 40 years. Our only option to hold our Districts accountable is to bring them to hearing and this process is a “crap shoot”. I can tell you from experience that the hearing process is costly, time consuming and not available to many parents who do not have the financial means or time to pursue this process. The statement in this article “There is no excusable reason why public schools cannot provide an appropriate education”; what would be a parent’s next option when they have exhausted the special education process currently in place. We at Decoding Dyslexia are not trying to move into yesterday we are trying to provide more awareness, education to parents as well as educators and legislators on Dyslexia. Our children are diverse readers, writers and spellers. We need to provide our children with the appropriate educational support the way they learn and need to have more specific regulations to hold the District’s accountable for students with Dyslexia and their education. The current process is NOT working. But Pat, do we just forget about those students that can be served outside of special education? 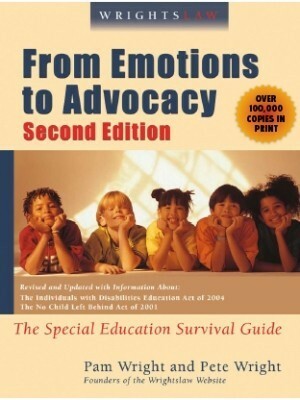 The policy changes DD is pushing for are for ALL students not just those in special education. By advocating for teacher training, early screening and assistive technology we are essentially hoping to eventually get to the point where schools are approaching dyslexia from a literacy perspective not a pure disability perspective. Our policy work is intended to be the impetus to get research, curriculum and modalities into public schools in a general sense without parents having to do it one by one. If you read my post carefully, you will see that I am not criticizing the DD movement. As some of the commenters say, it has done wonders in publicizing dyslexia. I am providing a historical perspective that most of you do not have. I’ve seen how schools and administrators can manipulate parents and advocates into using their energy in other areas than obtaining appropriate services for kiddos. Once educators (and legislators) see that appropriate services actually work, they will be committed. We sell them by making what we have in place actually work. Everything we need to obtain these services for kids is already in the law. 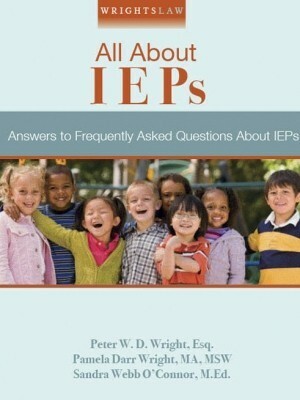 You obtain these services through the IEP process. Through the PROCESS. I expected kickback and I am getting it. That doesn’t change my view on this. Awesome article and schools are very skilled at manipulating. Unfortunately, it undercuts their own credibility. We just need to do what is right for kids and stop elevating concerns about money over the needs of our children. My parents started one of the first schools for Learning Disabilities. It was in Vermont. It’s name was Pine Ridge School. So I know a lot about this. Mainstream schools are supposed to help those students with an ARD and an IEP. We need more specialized schools. One more thing. I think your argument that parents are being diverted from advocating in the schools to advocating in the legislature is, well, just plain false. I don’t know anyone active in Decoding Dyslexia who does not themselves advocate in the schools, even if they are also trying to do something legislatively. Not sure what you are basing that on – it isn’t one or the other. What a truly disappointing article to see on Wrightslaw. If current legislation is enough, then how is it that dyslexic children still do not get what they need? Not every parent can afford to hire you as an advocate, or an attorney to fight for them. What are those parents and kids to do? DD as a movement is fighting for those kids, whose parents do not have the resources, to have universal screening and intervention for dyslexia, WITHOUT having to hire someone to get it! Your suggestion is that we use current laws. Great, are you going to offer your services for free to get them enforced? I didn’t think so. Thank goodness for the DD groups. And btw they do a lot more than legislation. A huge part of their mission is educating the public and schools! Decoding Dyslexia is selling nothing. Neither are we failing to advocate for our students, ignoring current laws, or waiting while our students drop out. If current legislation was enough then we would not need to advocate as we do and/or hire attorneys and advocates and experts. As you know, because you make a living doing it, without a paid advocate many dyslexic students are not getting what they need, despite the current laws. Not every family can afford the fight, the cost of the process. DD State groups work as they see fit to improve their state’s awareness including through legislation. Awareness and improved legislation is for the benefit of our collective future. Citizens participating in government is what democracy is about. I hardly think it is leading people “down the wrong path” to advocate for clear and effective change. We know by going after legislation, especially legislation that targets teacher preparatory programs, our children will not benefit. We are doing this so that future students will benefit. We in Decoding Dyslexia will eventually have grandchildren, and we want to see an educational system that teaches students using structured literacy to eliminate the struggles and failure faced by students with dyslexia. The bigger issue is that teachers lack the knowledge to successfully teach all students to read. Teacher preparatory programs do not include the latest research on what we know what works, and what works for students with dyslexia, works for ALL students and makes ALL students better readers. Teachers currently do not have the depth of knowledge in the structure of language, and because of this do not understand what students with dyslexia need nor how to meet their takes. Even though evidence based programs may be used, dyslexic students still do not make adequate progress because the programs are not followed with fidelity. It is a huge red flag when a sped teacher says she is going to weave in other concepts because Language! is just too worksheet intensive. They do not understand that repeated, targeted practice is needed. I would be interested in the author’s suggestions for bringing about systemic change for those with dyslexia in the public schools. What have you learned during the past three decades that could help move things forward? It’s always easier to criticize what’s being done than to propose meaningful solutions. I can see what you are saying – that the law is already on parents’ sides and new legislation should not be needed. But I think instead of criticizing those who are pursuing legislation, you should THANK THEM for their efforts, because no matter how you feel about it, you can’t deny that in a few short years, Decoding Dyslexia has made more progress on dyslexia in the schools than anyone else! For whatever reason, other legal and disability organizations out there have not been able to get the word out on how to advocate successfully, nor have they been able to unite and empower parents the way Decoding Dyslexia has. I live in a state that has a recent dyslexia law, and it has made a huge difference in our schools. So I choose to say THANK YOU to DD chapters all over the country, instead of criticizing. Thank you so much Pat! I agree with you 200 %!! I am a Learning Specialist in Private Practice with 40 years of training and experience in Special Ed and become more disgusted with school administration and Special Services Directors!. Everything you said is true. An there are state of the art programs available not just for Dyslexia but SLD that was designed to be used in the schools but poo poohed. NO passion, interest in what is possible…. Very sad broken and obsolete system. Private schools are not much better either >>> Thank you for Speaking up. I left public schools because I no longer could LIE to PARENTS and Tired of getting my hand slapped for telling the truth! Professional Integrity and helping kids reach their potential was MOST IMPORTANT! Thank you again Pat! Keep talking and sharing! I don’t disagree wtih your advice to be careful of diversionary tactics but many parents are advocating for their children AND pursuing the “and justice for all” avenue in their respective legislatures. In MD, we do not often have any admin suggest we need to define dyslexia and/or train teachers. MD believes their teachers are already trained to provide appropriate interventions for students wtih SLD/dyslexia/reading disability. MD public schools have access to LiPS, V/V, Seeing Stars and Wilson Fundations, Just Words and Wilson Intensive. The problem: teachers are not well trained enough to implement these programs. Kids are not learning to read, write and spell and MD knows it — for those wtihout IEPs or parents who can help, DD-MD must pursue Reading for All through our legislatures. Thank you for your thoughtful post. Good advice! Next battle will be obtaining all the services and supports that districts are promising to sped students to meet and pass common core standards. For most sped students this will not happen and CC will be another obstacle to overcome. I’m homeschooling. It is my understanding that the fellow who argued the Shannon Carter case has dyslexia, and even so was educated well enough to appear before the Supreme Court and win. Educating someone with dyslexia is a solved (but expensive) problem. There is no excuse (other than cost) to not educate.